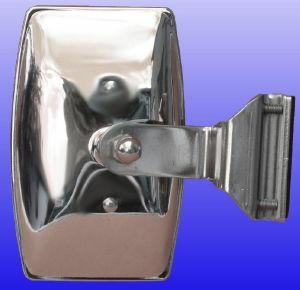 To suit Tex & Classic British Stainless door mirrors. 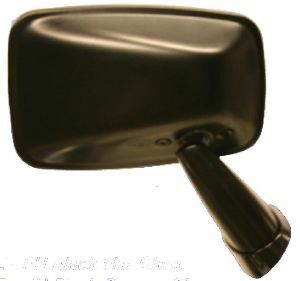 This is the version often seen on Hotrods (where Yank owners term them Peep Mirrors), as well as Campervans & classic trucks to eliminate blind spots. Fitted as original equipment to all BL vehicles 1974 to 1983. 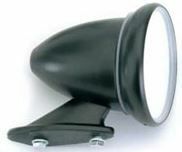 Fitments include Mini, MGB, MGBGT, Midget, Sprite, Spitfire, TR7, Dolomite, Princess, Ital, Allegro, but it can be mounted on any vehicle as can be seen from photo link below. 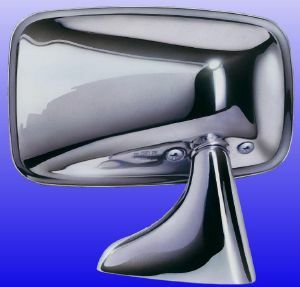 These mirrors are suitable for all Classics with a wing mounted mirror. Manufactured to original specifications with a straight arm and lozenge head. 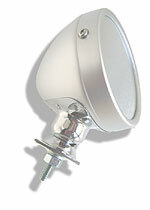 They are fully adjustable & supplied complete with all fittings. 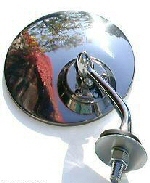 Stainless mirror back with chrome stem. Fully adjustable & supplied complete with all fittings. 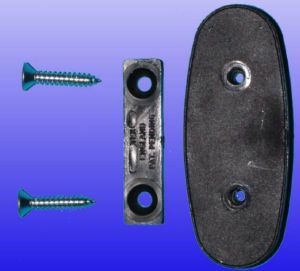 Supplied complete with screws, moulded rubber gasket and even a template to make fitting easy. 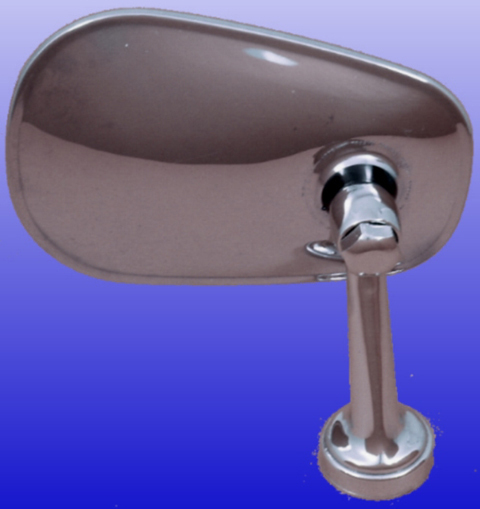 Glass diameter 112mm, length of base 165mm, overall height 145mm. 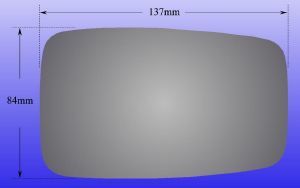 Glass diameter 115mm with convex mirror. 90mm x 30mm base incl. gasket. Single fixing bolt and location pin 30mm apart. Manufactured to original specifications with an offset arm and lozenge head. 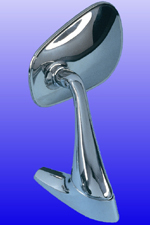 They are fully adjustable & supplied complete with all fittings. 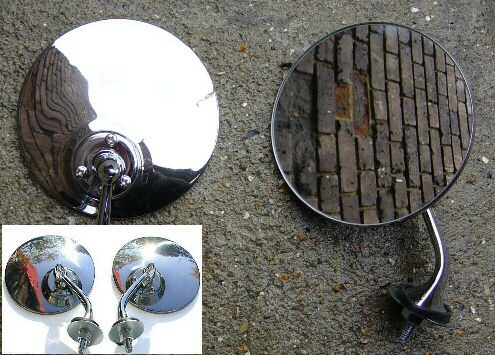 These mirrors are a faithful UK manufactured best quality reproduction of the longtime obsolete Lucas 406 mirrors. 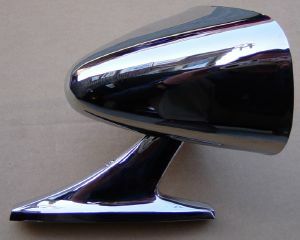 These mirrors are suitable for all Classics with a wing mounted mirror and were an original fitment or dealer option for most British cars of the 50s and 60s. Fully adjustable & supplied complete with all fittings. Stainless mirror back with chrome stem and slightly convex lens. Fitted as original equipment to all BL vehicles 1974 to 1983. Fitments include Mini, MGB, MGBGT, Midget, Sprite, Spitfire, TR7, Dolomite, Princess, Ital, Allegro, but it can be mounted on any vehicle. 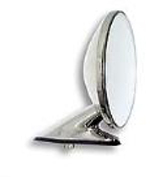 These mirrors were marketed by various distributors in the 1950s and 1960s. They were fitted to racing Cobras, Big Healeys, D Types, and other performance cars of the era as well as factory fitments or options on 60s British cars such as Lotus, Rochdale, TVR. Extremely lightweight 140g - purpose designed for racing (as well as being ideal for vibration-free fitting on flimsy alloy or fibreglass bodywork. Available in matt alloy (which will take paint to match body colour without the use of an etch primer), polished alloy, or satin black. We have also seen this mirror used as an interior mirror. 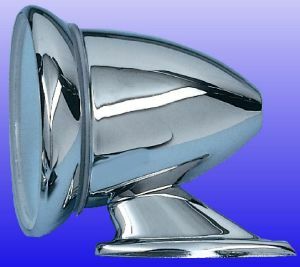 Commonly seen on 60s & 70s Italian classics, but will grace any car. 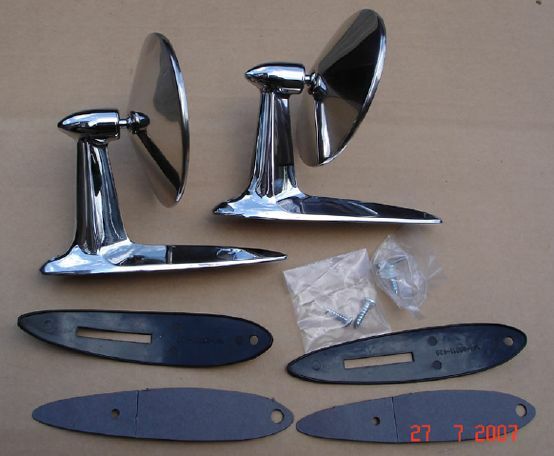 These are manufactured by Tex Automotive to the original Triumph specifications. Highly-polished stainless steel. 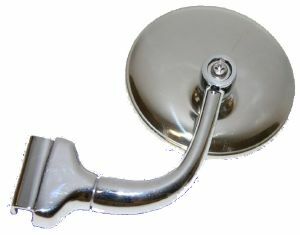 They are fully adjustable & supplied complete with all fittings.